Bordered by the beauty of the idyllic Matab-ang River and carefully designed to foster a relaxing and intimate atmosphere throughout the entire development, The Enclaves at North Point is the ideal place for those who wish to live a life of serenity, privacy and exclusivity within the confines of a tightknit community. NORTH POINT, A PRIME ADDRESS FOR A UNIQUE RIVERSIDE COMMUNITY. An exclusive community deserves an equally extraordinary location. 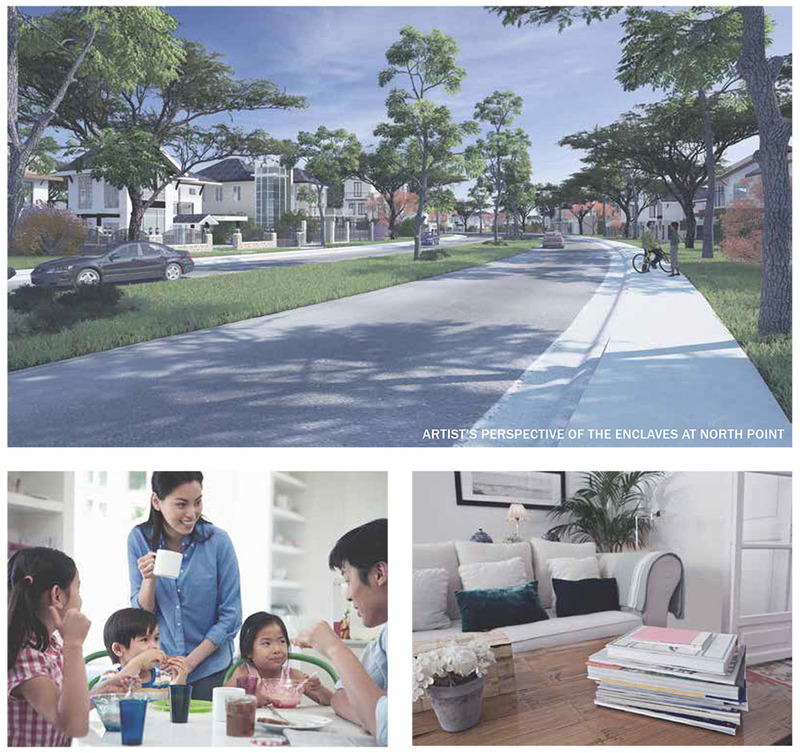 The first fully master planned development in Negros, North Point is the ideal neighborhood for a unique community such as The Enclaves. Experience a life of convenience with its complete range of residential, office, retail, and educational facilities. CHOOSE YOUR OWN PERSONAL ENCLAVE. 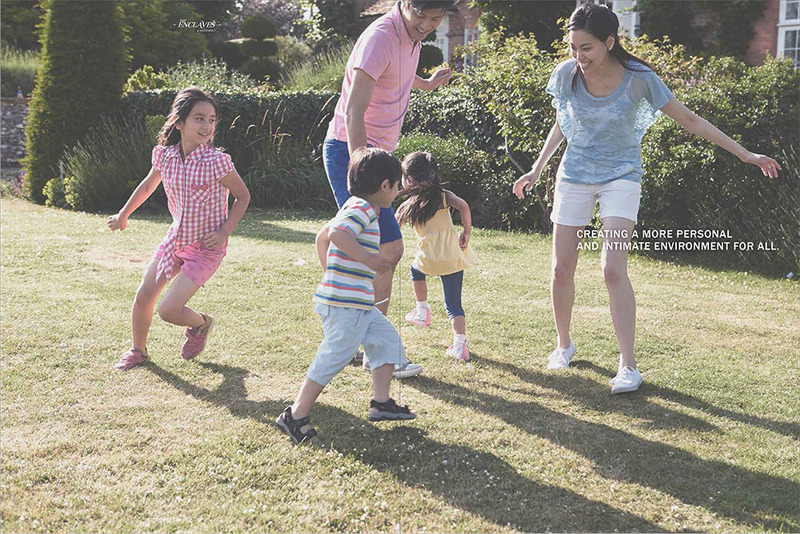 In this vibrant community, there’s more than enough space for you and the entire family to grow and privately enjoy your beautiful natural surroundings. Exceptional track record, high standards, topnotch expertise – with Ayala Land, you can rest easy knowing that your investment will offer high property value appreciation over time, ensuring that you get utmost value for your money. YOUR OWN SPACE, YOUR PERSONAL ENCLAVE. With lots purposefully clustered to create intimate neighborhood spaces throughout the development, each and every resident gets to enjoy their own private enclave, creating a cozier environment for all. REST AND RECREATION AMIDST UNSPOILED NATURAL LANDSCAPES. The village amenities will take advantage of its riverfront setting. 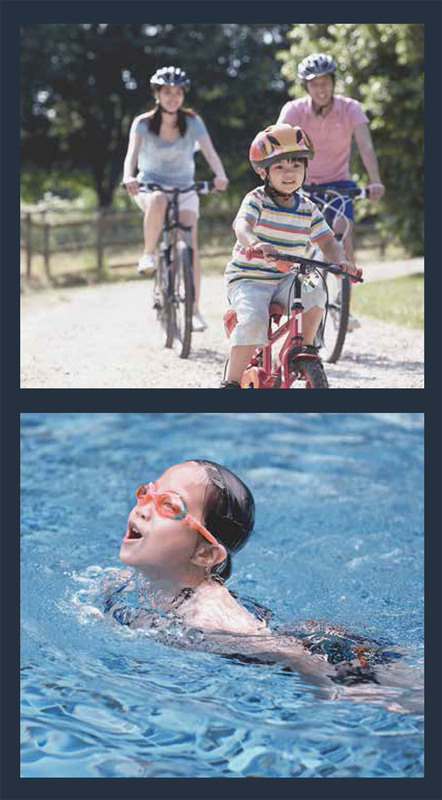 These amenities and facilities are envisioned to create opportunities to commune with nature while spending leisure time with family and friends. Centrally located in Talisay City with Bacolod to the south and Silay to its north, North Point allows you access to the area’s many offerings, opening up even bigger opportunities and owning up to its title as Negros’ premier lifestyle destination. 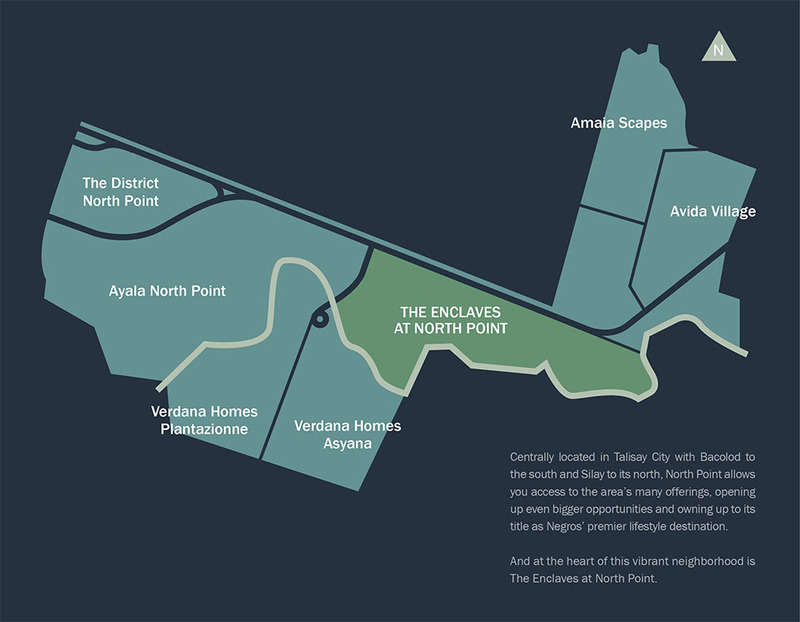 And at the heart of this vibrant neighborhood is The Enclaves at North Point.